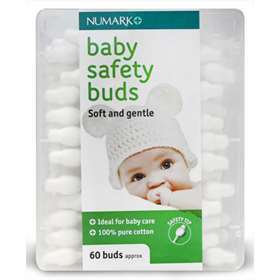 Numark Baby Safety Ear Buds are soft and gently for babies delicate ears. The safety formed tip stops the bud from going too far into the ear stopping damage that could be done by smaller tips. Suitable for all from babies to the elderly. Only to be inserted into ears.